An EU-funded initiative, MBA Programme for Ukraine’s State Agency on Energy Efficiency and Energy Saving (SAEE) was presented on Feb. 19 in Kyiv. The programme is specially tailored for Ukrainian civil servants, providing the possibility of enhancing their existing level of education and acquiring new knowledge and skills. Thanks to this project, 24 civil servants from the State Agency will obtain master degrees in Business Administration (MBA). This programme has resulted from long-term cooperation with European professors. 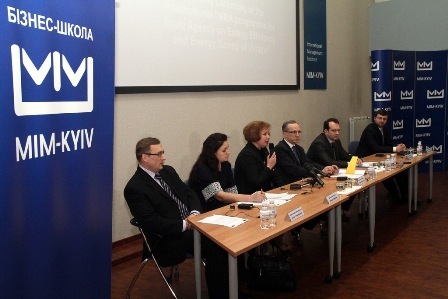 It is aimed at promoting the successful implementation of energy-efficient practices in Ukraine. Because of this, some of the courses will be taught by representatives from the EU member states, adds Tykhomyrova. 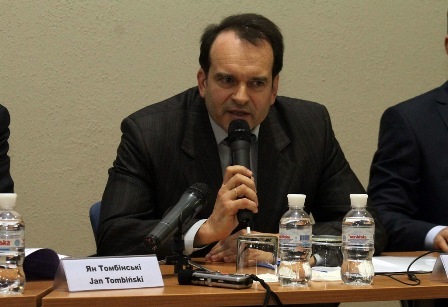 According to Jan Tombiński, head of the Delegation of the European Union to Ukraine, the EU invests in educating people who have professional experience. The EU is helping Ukraine to make the best use of the country’s potential. In the future, “you will profit from your skills to manage your energy resources in the best way,” Tombiński adds. Sergiy Dubovyk, deputy head of the State Agency on Energy Efficiency and Energy Saving, believes that this programme will increase the skills of civil servants. They will get a deeper understanding of business mechanisms and financial management, which will be useful in tackling the issue of energy efficiency in the private sector. Mr. Tombiński adds that Ukraine has all the means to be one of the key players in the energy market. However, the country’s energy sector has a lot of room for improvement, he says. The project will contribute to this improvement, he concludes. The “MBA Programme for State Agency on Energy Efficiency and Energy Saving of Ukraine (SAEE)” initiative is launched with the support of the European Union within the framework of the “Capacity Building of SAEE” project, which is implemented by the consortium led by Hulla &Co. Human Dynamics KG, Austria. The MBA programme will be delivered by IMI-Kyiv Business School.